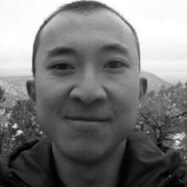 This webinar describes the various uses of thermal analysis for safety assessment in the chemical industry. 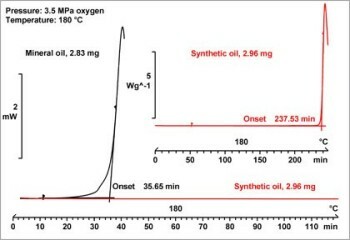 Kinetic methods are of fundamental importance for process development and the optimization of chemical processes. 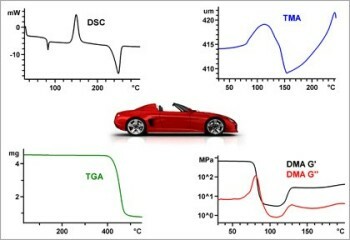 They provide us with information about the influence of temperature, time, concentration, catalysts, and inhibitors. In recent years, renewable energy resources have become widely accepted as a way to help solve the world’s potential energy crisis. 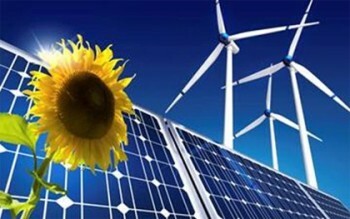 Developments are progressing rapidly and new materials employed in the field of renewable energy require adequate quality control. 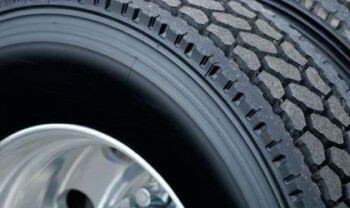 In the webinar titled "Thermal Analysis of Tires", we describe a number of techniques and methods that can be used to characterize the physical properties of tire tread compounds. 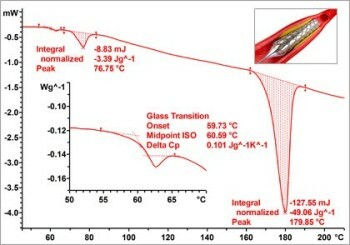 In the webinar titled "Thermal Analysis Inorganic Materials", we describe a number of techniques and methods that can be used to characterize the physical properties of inorganic materials and compounds. 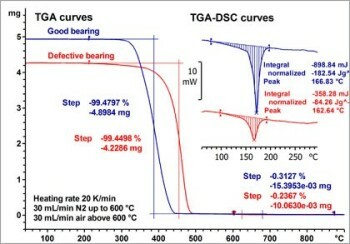 This webinar explains the basic DMA principles and at the same time introduces a high-performance DMA instrument for carrying out various applications. 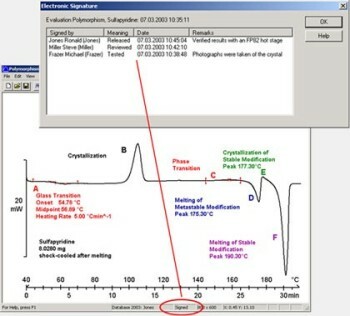 In the webinar titled "Thermal Analysis of Petrochemicals", we describe a number of examples that illustrate how thermal analysis can be used to investigate the physical properties and behavior of petrochemicals. 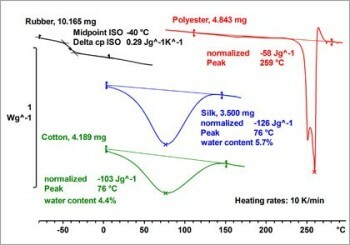 In the webinar titled "Thermal Analysis of Biopolymers", we describe a number of techniques and methods that can be used to characterize the physical properties of biopolymers. OIT measurements determine the oxidative stability of oils, polymers and foods. 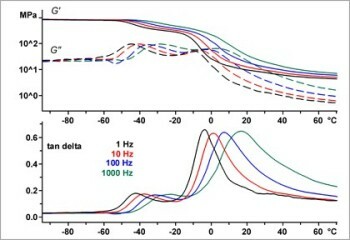 OIT techniques are thus frequently employed for process development and quality control. 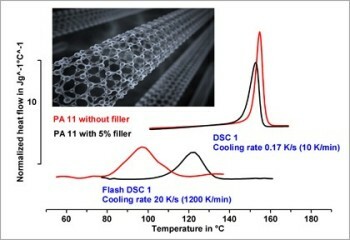 Understanding polymer crystallization is essential for improving production processes, optimizing material properties, developing new materials and failure analysis. 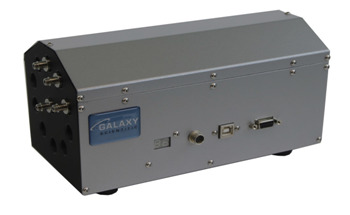 DSC analysis measures the heat flow produced in a sample when it is heated, cooled, or held isothermally at constant temperature. 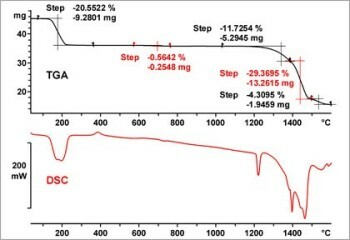 Melting points, crystallization behavior and chemical reactions are just some of the many properties and processes that can be measured by DSC. 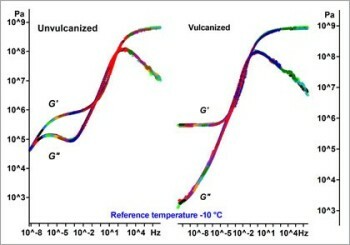 Viscoelastic behavior depends on frequency and temperature, and there is a general equivalence between frequency- and temperature-related behavior during transition processes. 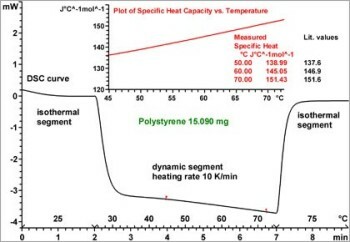 In the webinar titled "Thermal Analysis of Composites", we describe a number of typical application examples that illustrate how thermal analysis can be used for the routine testing and development of modern composite materials based on polymers in various industry segments. 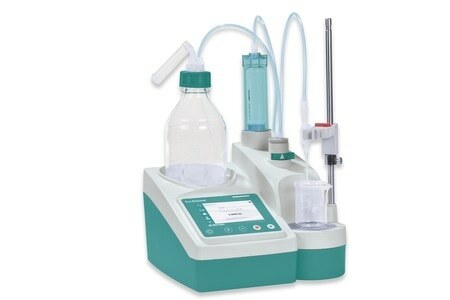 Regular calibration and adjustment is essential for every laboratory to help ensure the integrity of your results. 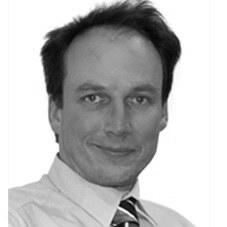 The thermal analysis calibration and adjustment webinar by METTLER TOLEDO explains why regular calibration and adjustment are important during the lifetime of your instrument. 21 CFR Part 11 compliance is obligatory for all healthcare industries that manufacture or export their products in or to the U.S. market. 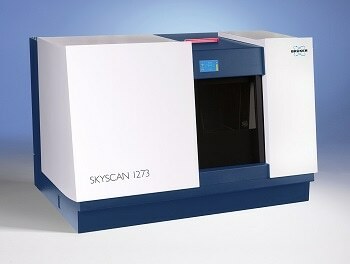 HP DSC is widely used in many different industries such as the chemical, pharmaceutical, petrochemical, plastics, paints and adhesives, electronics, and food industries and in academia. 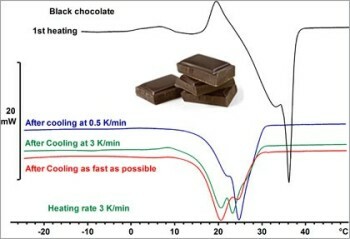 In the webinar titled "Thermal Analysis of Food", we describe a number of interesting application examples that demonstrate the use of thermal analysis techniques in fields such as food processing, food storage conditions, and food quality in various segments of the food industry. 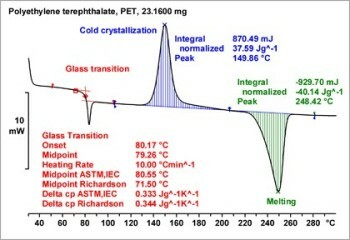 Thermal analysis is an excellent method for the identification and characterization of thermosets because their properties are strongly temperature dependent. 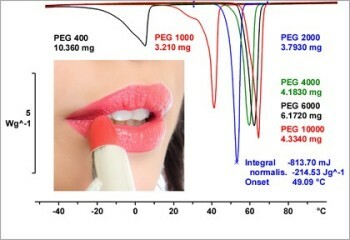 The webinar titled "Thermal Analysis of Cosmetics" presents relevant applications for the characterization of cosmetic products and preparations as a function of temperature. 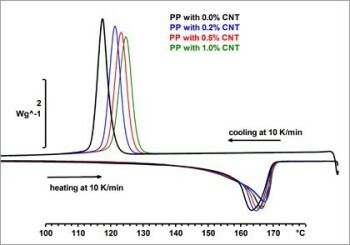 In the webinar titled "Thermal Analysis of Nanomaterials", we describe a number of techniques and methods that can be used to characterize these materials and their effects. 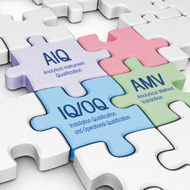 According to ISO 17025, Validation is the confirmation by objective evidence that the requirements for a specific intended use are fulfilled. In other words, validation demonstrates fitness for purpose. 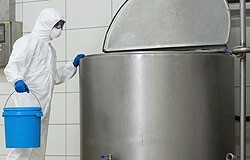 Quality control by thermal analysis is used to inspect products for irregularities that could compromise their quality. 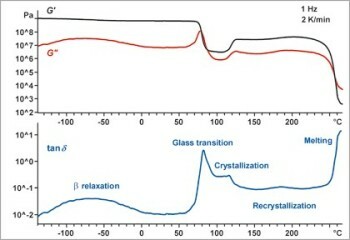 For example, by checking the level of crystallinity and the magnitude of the glass transition of an injection-molded part, one can measure the effects of cooling within the mold. 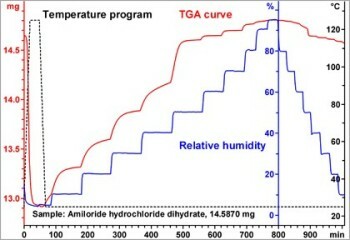 TGA-Sorption analysis yields valuable information to help study the effects of moisture on material properties. 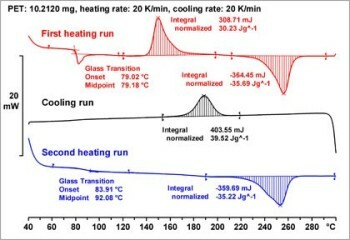 A number of interesting application examples, presented in the "Thermal Analysis of Pharmaceuticals" webinar, demonstrate the use of thermal analysis techniques in the pharmaceutical industry. These have to do with the measurement and testing of physical properties. 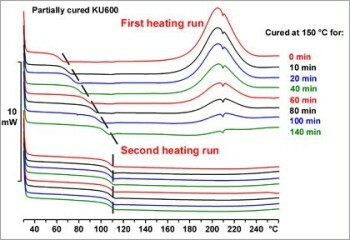 Medical materials and compounds can be characterized using various thermal analysis techniques. 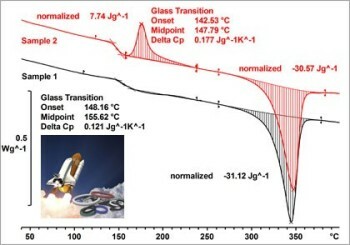 Thermal Analysis is an excellent method of testing many different chemical and physical properties such as the glass transition temperature, moisture content, composition, long-term stability and a material’s behavior during decomposition. 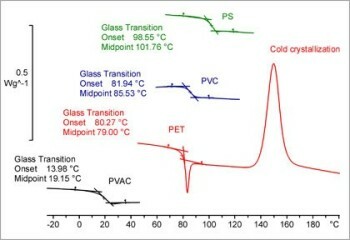 The determination of glass transition temperature (Tg) is critical for understanding a material's properties. 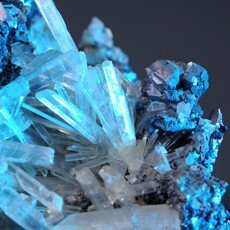 It indicates the temperature at which a substance transforms from a glassy state to a rubbery state or vice versa. 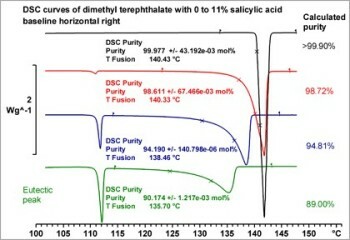 DSC purity analysis of substances in drugs or foodstuffs is an important issue. 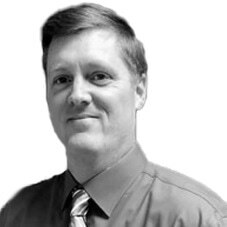 In general, substances with significant amounts of impurity may produce unexpected reactions, lose their efficiency, or create toxic compounds. 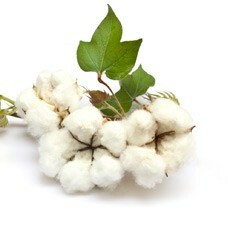 In the worst case, even just a few percent of an impurity could be toxic or even lethal. 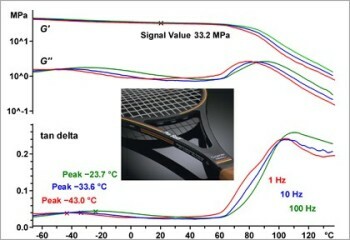 Thermal analysis is an excellent method for identifying and characterizing thermoplastics because their properties are strongly dependent on temperature. 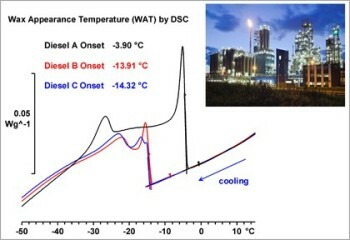 DSC is a measurement technique commonly used for the determination of specific heat capacity because of its ease of use, short measurement times and because it provides adequate accuracy. 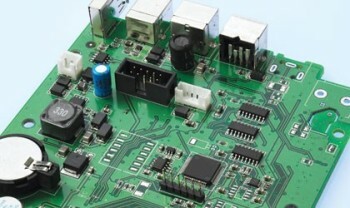 In the webinar titled "Thermal Analysis of Electronics", we demonstrate how thermal analysis is used to characterize the thermal and mechanical properties of many types of components and products as well as to monitor production processes. 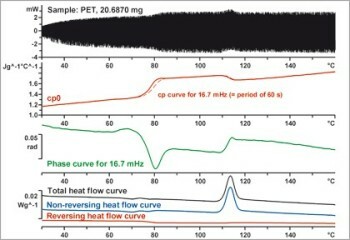 The results of measurements obtained using conventional DSC instruments frequently depend on the heating or cooling rates used. 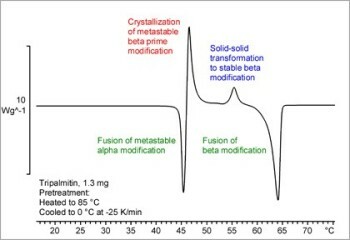 For example, if you want to investigate the behavior of materials in technical processes, such as for example crystallization processes in injection molding, the heating rates used for the measurement must be comparable to those that occur in the actual process. 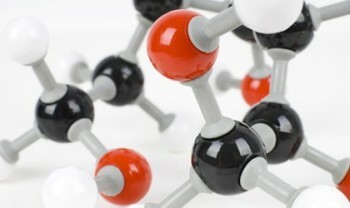 Evolved gas analysis is a method used to study the nature of volatile products released by a substance as it is heated. This can be done using many different types of techniques and equipment. 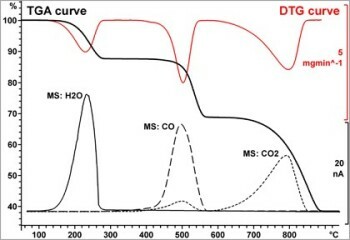 In the webinar titled "Thermal Analysis of Organic Compounds", we describe a number of techniques and methods that can be used to characterize their properties and effects under variable conditions.